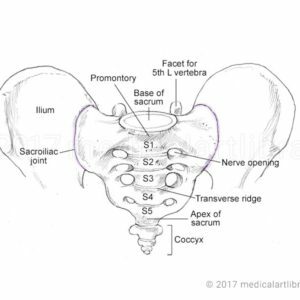 License Image The sacrum is connected to the ischium of the hip bone by the sacrotuberous and sacrospinous ligaments. 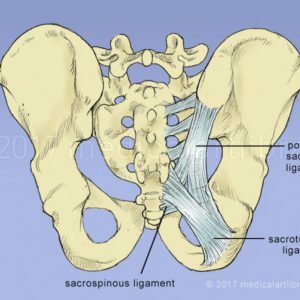 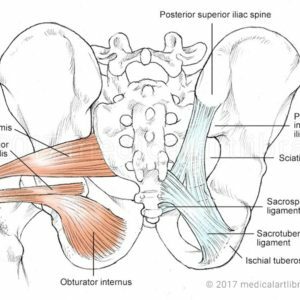 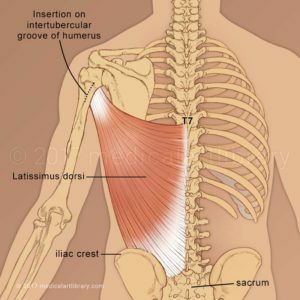 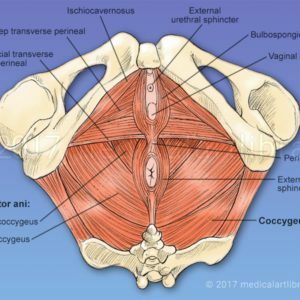 The posterior sacroiliac ligament blends with the fibers of the sacrotuberous ligament which attaches from the sacrum to the ischial tuberosity. 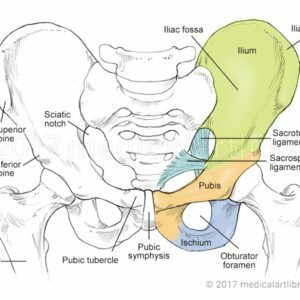 License Image Ligaments of the posterior hip bone and and sacrum. 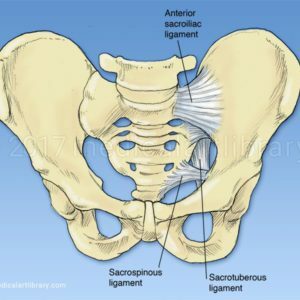 Both the interosseus sacroiliac ligament and the posterior sacroiliac ligaments support the sacroiliac joint. 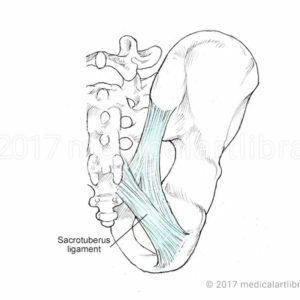 The posterior sacroiliac ligament blends with the fibers of the sacrotuberous ligament which attaches from the sacrum to the ischial tuberosity. 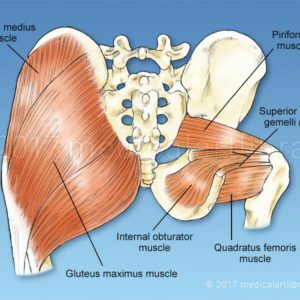 License Image This group of outer hip muscles includes the piriformis, superior gemellus, inferior gemellus, obturator internus and obturator externus. 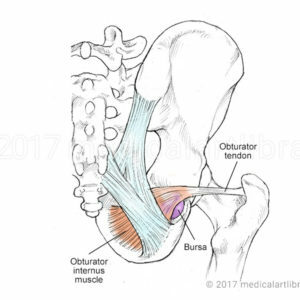 With their insertions on or near the greater trochanter of the femur, these muscles rotate the thigh laterally. 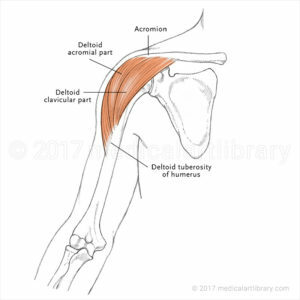 License Image The deltoid muscle of the shoulder as seen from the front. 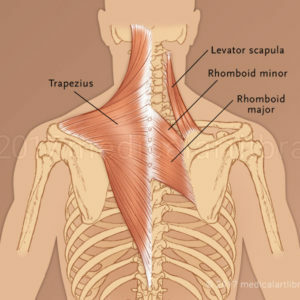 License Image The clavicle as viewed from above. 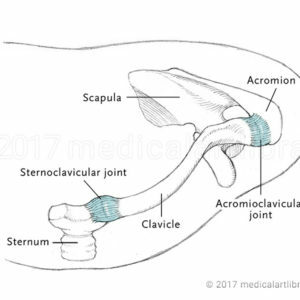 The clavicle joins the acromion of the scapula at the acromioclavicular joint. 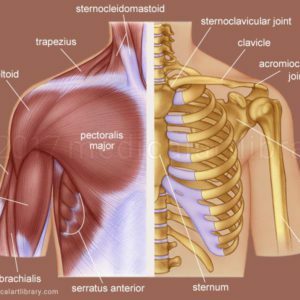 The clavicle joins the sternum at the sternoclavicular joint. 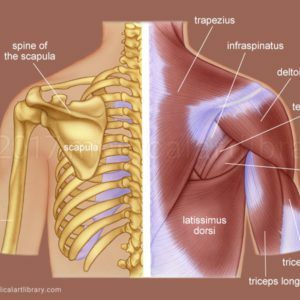 The clavicle is the most frequently broken bone in the body. 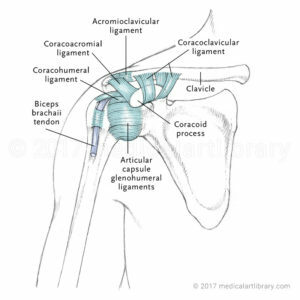 License Image The shoulder joint ligaments shown are the acromioclavicular ligament, coracoacromial ligament, coracohumeral ligament, coracoclavicular ligament, and the articular capsule or glenohumeral ligaments. 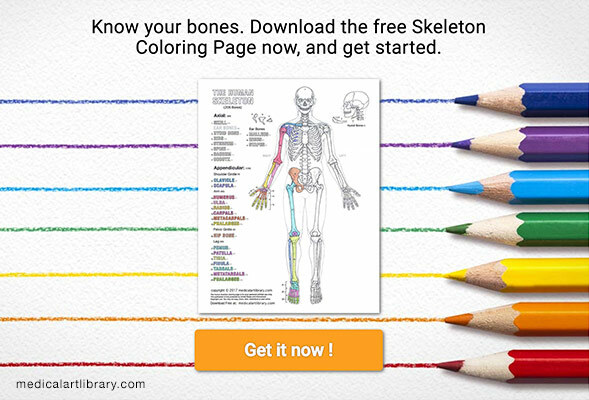 Boney structures shown are the Coracoid process of the scapula, the clavicle and the humerus. 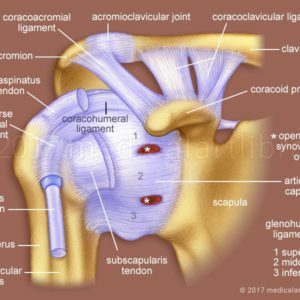 License Image The shoulder joint ligaments shown are the acromioclavicular ligament, coracoclavicular ligament, the superior transverse scapular ligament and the joint capsule or glenohumeral ligaments. 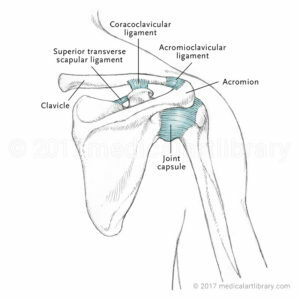 Boney structures shown are the acromion of the scapula, the clavicle and the humerus.